Last week may have been C.J.’s birthday, but I’m the one who received the most amazing gift! 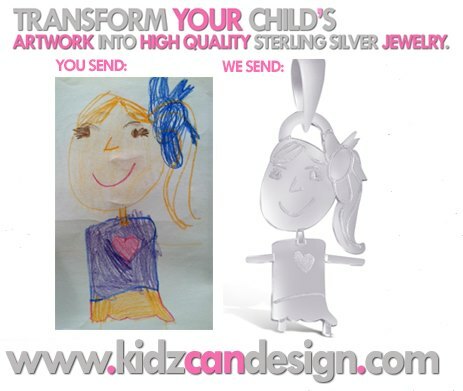 KidzCanDesign is a company that converts a child’s work of art into custom, high quality, sterling silver jewelry. They took one of C.J.’s self-portraits and turned it into a necklace that I will treasure forever. The self-portrait that they used was drawn by C.J. right as kindergarten started in September, right before he drew himself as a boy for the first time ever. So, the art is special to me and always will be. I can’t get enough of this necklace. Check out KidzCanDesign and if you choose to order something use the promo code RAINBOW for 35 percent off of your order and free U.S. shipping. You can also like them at Facebook/KidzCanDesign. Finally, you all HAVE to watch this video. The content, the way it is presented, artist iO Tillett Wright’s delivery, intelligence, compassion….I can’t stop thinking about it. I’m fascinated by iO Tillett Wright’s gender nonconforming childhood. This entry was posted in All Posts and tagged 2013 Parents Blog Awards, iO Tillett Wright, KidzCanDesign, Parents Magazine. Bookmark the permalink. The video hit very close to home (=heart) for me. The part where she described her childhood exploration of her identity was very relatable in particular. More people should see others are just people, rather than trying to “box” them into specific categories as she mentioned. That TED talk was absolutely amazing. Thanks for posting! I tried to vote, but the facebook page says “Temporarily Down for Maintenance”.. I will try again later! I voted for you :)! Hope you win! Please vote for Raising my Rainbox. 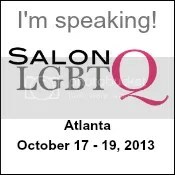 The site is uplifting, witty, awesome and full of love. You will also find the parental norms of how to protect your child while also allowing him, her to grow and find their own place, way and uniqueness in this world of ours. Do visit the site when you get a chance. done 🙂 glad to help out! you deserve it! I will definitely vote! Best of luck to you. By the way, have you guys read 10,000 dresses by Marcus Ewert?? My daughter and I really enjoyed it. Voted using my son’s Facebook account (I don’t have one either), but he’s my Mary Poppins baby so not much of an argument from him. 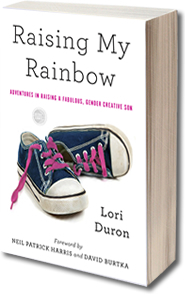 Saw “50 Shades of Gay” and was similarly moved–especially given my own hetero/lesbian story. Still haven’t been able to tell some members of my family… fear born of a religious, homophobic upbringing. No excuses–it’s gutless foolishness. I guess I just wish more of us knew that kind of freedom in childhood. So glad to vote for you! Voted! That was a really great video and reminded me of my childhood, although my phase of wanting to be a boy lasted a couple of years. When puberty hit, I found myself transformed into a girly girl. Now I’m raising a boy and find myself remembering why I loved playing sports, climbing trees, playing in creeks and when I would do those things with my son, it would bring back really good memories. Every time I watch him play basketball, I am dying to get out there. I grew up to identify as a hetero woman but I’m enjoying getting back in touch with my tomboy side. Preemptive strike, this is not intended to have that tone of “don’t worry,maybe your kid will outgrow it and be “okay” (hetero). That’s not how I think at all. I’m only speaking to what my own personal experience was, NOT saying it turned out better than someone’s experience who is LBGT. Really, my point is it just should not matter. Let kids be themselves,love them,support them, and cherish every moment you have with them. Thank you so much for sharing that video. Awesome! Now, I’m off to vote. You have my vote. What a lucky child to have such truly loving parents. I voted for your blog and really enjoyed the Ted talk video. Thanks for sharing! Do it NOW!!! Another blog is winning and we can’t let that happen! CJ’s story is too amazing not to win! Voted! And thanks for sharing iO Tillett Wright’s TED talk. I’ve reposted it on my photography blog. Voted! Good luck. I hope you win. With pleasure, done 🙂 I do not comment often, but am a regular reader, I think you are an amazing mum, thank you very much for sharing CJ’s adventures with us all. I just tried to vote and the page is down. I’ll try again later. Voted for you, what you do for CJ and others is truly inspiring. He’s a great kid and lucky to have a mom like you! Voted for you! I hope it worked – having computer glitches. I would gladly vote but I don’t have a Facebook account.